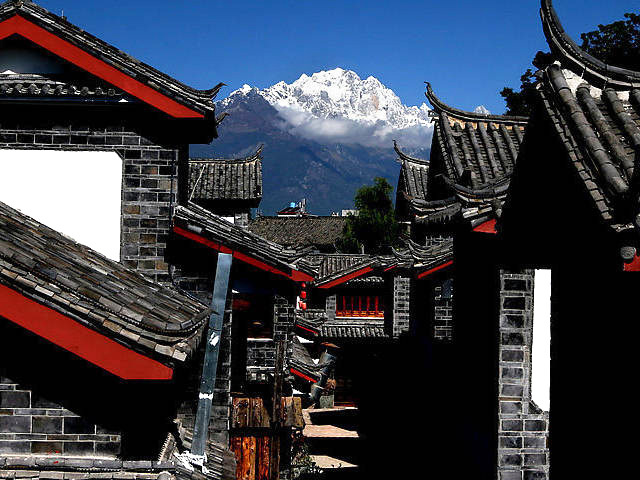 Yufeng Temple, located at the southern foot of Jade Dragon Snow Mountain, is 9 kilometers (6 miles) from the county seat of Lijiang. Ancient forests press in around it and there is a small pool in front of the lamasery (monastery of lamas) embraced by big pine trees. The Lamasery has three courtyards, the most famous of which is Great Camellia. The camellia tree is standing regally as if watching over the place and is said to be more than five hundred years old. It is a combination of two different breeds of camellia, grafted together in one tree and over the years having grown enormous with its crown shading the whole courtyard. 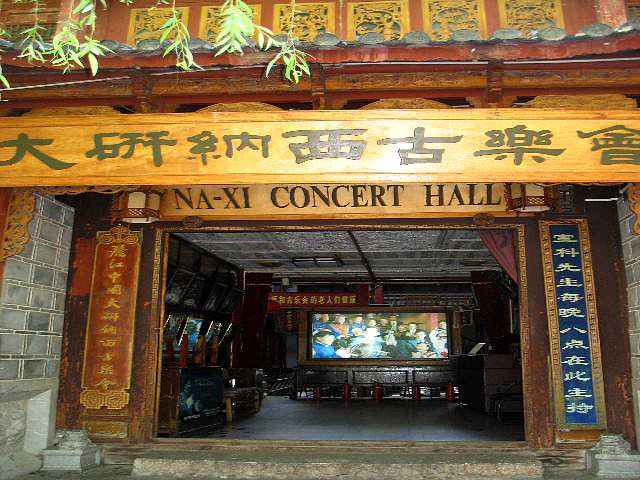 In the eyes of the Naxi people, the Great Camellia is the symbol of true love. Young Naxi lovers that experienced tragedy and wanted to die for their love on the sopes of the Snow Mountain, have for generations come to the Yufeng lamasery to look at the Great Camellia. Legend says the tree has magical power to persuade the young lovers to cherish their lives and enjoy a happy life in the real world. Many experts put the date of planting between 1465 and 1487 (during the Ming Dynasty) before the temple was built. Its blossoming period lasts more than 100 days a year, and produces more than 20,000 flowers in 20 groups. One blossom is about 17 cm (7 inches) in diameter. The scene is magnificent. 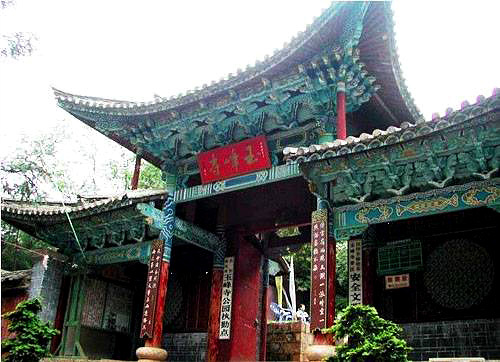 Yufeng Temple is a historical witness of the peaceful coexistence and syncretism of multinational cultures and religions, and still plays a very important role in acculturation of Naxi Ethnic Group. 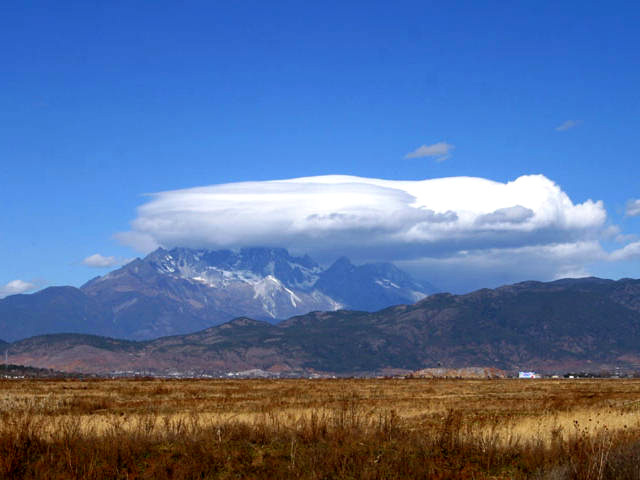 Please click " " to add the attraction in you favorite list, let us plan a private Lijiang Tour for you. 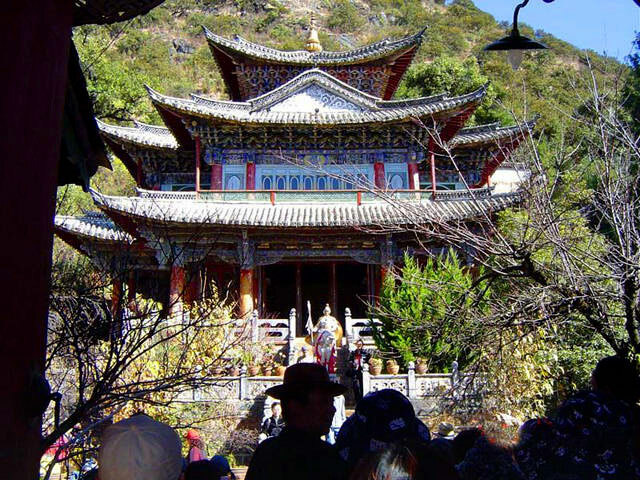 Chinatourguide.com, guide to everything you need to know about China tour, Your reliable China travel agency.